Ever notice that when a boss bullies one employee, the employees also start bullying each other? This might be because bad behaviour in the workplace is contagious. 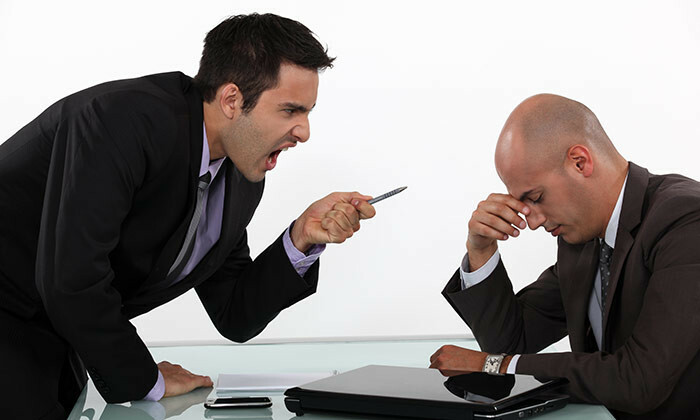 According to a study by the University of Florida, when people encounter rude behaviour at work, they are more likely to perceive rudeness in subsequent interactions. This increases the likelihood of them being rude in return. Tracking negotiation of 90 graduate students with their classmates, the researchers found that those who rated their first negotiation partner as rude were more likely to be rated the same by their next partner. This shows that they have unknowingly passed along their first partner’s rudeness. The same effect is seen even when the first and second negotiations happen a week apart. The study also found that just like how those who experienced rudeness were more likely to be rude to others, the people who witnessed rudeness were also more likely to pass it on. The study found that after watching a video of a rude workplace interaction, participants answered a neutral-toned fictitious customer email with more hostility than those who viewed a polite interaction before responding. ALSO READ: Is this Singapore’s rudest boss? “That tells us that rudeness will flavor the way you interpret ambiguous cues,” Foulk commented. Technology has led to an overhaul of the RPO sector, and according to Alexander Mann Solutions, it will continue to disrupt and sh..